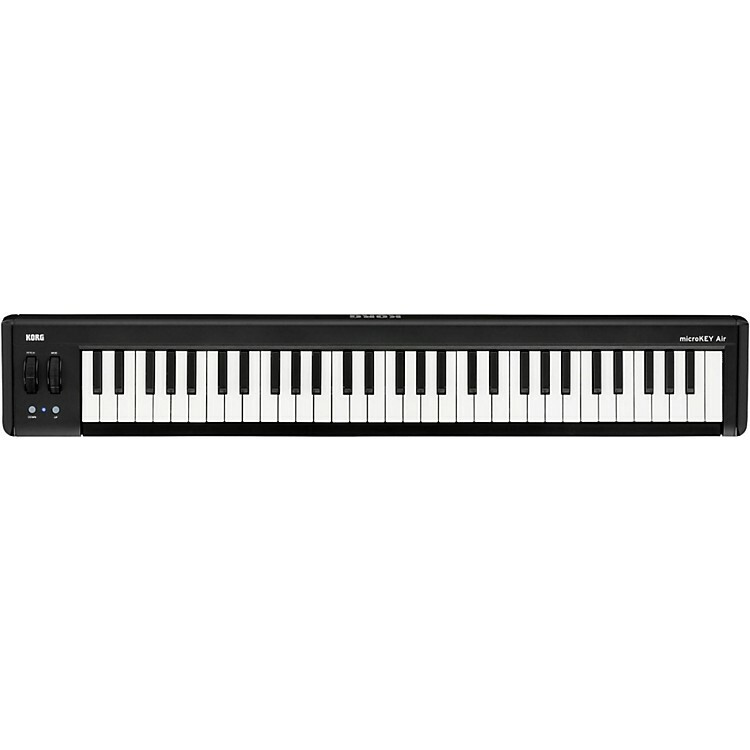 61-key MIDI keyboard with USB and Bluetooth connectivity. KORG, creators of the best-selling microKEY series and the next-gen microKEY2 series help you break free from cables with the new microKEY Air series of wireless MIDI controllers. The microKEY Air supports Bluetooth Smart “Apple Bluetooth Low Energy MIDI”. You can easily connect wirelessly to iPad/iPhone music apps such as KORG Gadget, KORG Module, and GarageBand, as well as any MIDI-capable music production software on your Mac. Painstaking tuning of the Bluetooth capabilities means high stability and low latency, no strings – or wires – attached. With an average of one hour of use per day, the batteries allow approximately one month of operation. And best of all, the microKEY Air runs on just two AA batteries. The keyboard that breaks the cord, order the microKEY Air 61 today!